Linda Nguyen and Joseph Leman report from the Religion and Spirituality Preconference at the SPSP annual convention. 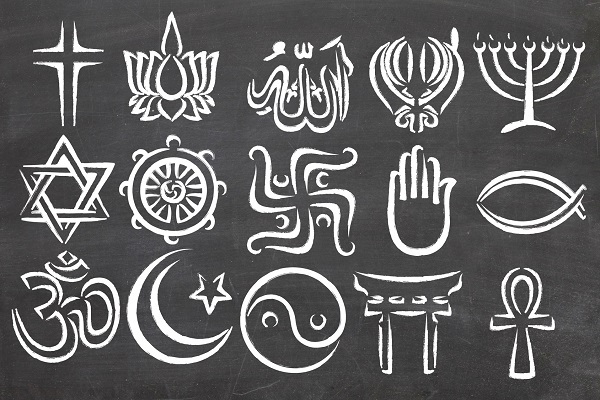 Irreligiousness, prejudice and new approaches to psychology of religion research were center stage on February 13th at the 6th annual Society of Personality and Social Psychology Religion and Spirituality Pre-Conference. Researchers from all over the world came to share and discuss the latest in religion and spirituality research. One of the talks was by Ph.D. student Zhen Cheng (Oregon University) looked at the difference between typical perceptions of Christians and atheists versus those held by people in an academic setting. Data was collected from four schools, two secular and two religious, two in the northern area of the country and two in the southern area. She predicted that across the schools, non-religious people more than religious would be inclined to implicitly and explicitly view religious people to be less intelligent. She predicted that secular universities would be more likely than religious universities to explicitly and implicitly view religious people to be less intelligent. Additionally, she hypothesized that people in the life sciences more than people in the non-life sciences would implicitly and explicitly view religious people to be less intelligent. Finally she predicted that faculty members more than non-faculty members would associate religious people as less intelligent. She found people in general society are less accepting of atheists than in an academic setting. However, people in an academic setting generally associated more intelligence with atheism. Explicitly, faculty members at universities explicitly preferred atheists over theists. However, she found implicitly, faculty members preferred Christians to atheists contrary to their explicit, self-reported, association. Implications for students applying to universities and sharing religious views were discussed. Dr. Kathryn Johnson (Arizona State University and University of North Texas) presented a study that looked at the influence of an authoritarian versus benevolent God on volunteerism. She described an authoritarian God as commanding, strict, controlling, punishing and wrathful. Conversely, she described a benevolent God as helping, compassionate, forgiving, merciful and gracious. She had participants come into the lab over the course of several weeks where they were primed with either an authoritarian God mentality or a benevolent God mentality though an activity such as listening to a sermon with an authoritarian passage from the bible or a benevolent passage. Additionally, each week they had the opportunity to help with some secular volunteerism task. Johnson found that the way that participants perceive God — as an authoritarian God or benevolent one — may affect how willing they are to help others. Those who were primed with a benevolent God showed greater rates of volunteerism across the tasks. Those primed with an authoritarian God, on the other hand, only demonstrated higher volunteering than the control group during simple tasks such as handing out flyers. When it came to tasks that involved going out and performing an action, the response rates dropped down to control levels. Dr. Jochen Gebauer (Humboldt University of Berlin) talked about the influence of cultural context on religiosity. His presentation looked at a novel Social Motives Perspective. The idea behind the SMP is to predict how cross-cultural differences predict why and where personality predicts religiosity. It is proposed as a complement to the expressiveness perspective that suggests that people seek to express their personality in what they do. The SMP assumes there are two socio-cultural master motives: assimilation and contrast. In the SMP, he suggests assimilation is related to an outcome if the outcome is logical such as high religiosity in religious socio-cultural contexts and low religiosity in secular socio-cultural contexts. He suggests contrast is related to a less intuitive outcome — high religiosity in secular socio-cultural contexts and low religiosity in religious socio-cultural contexts. Dr. Megan Johnson Shen (Memorial Sloan Kettering) looked at the role of rigid cognition in the relationship between religiosity and moral foundations in the context of Right Wing Authoritarianism. She suggests that religion is more strongly associated with group-focused moral foundations, and RWA subcomponents — authority, convention and submission — mediate the effects. Also, religiosity decreased the others-focused moral foundations. Dr. Mark Brandt (Tilburg University) challenged researchers to take a different perspective in looking at religious fundamentalism and prejudice. He examines the ideological conflict perspective as well as the concept of selective intolerance. He found there is not just an intolerant fundamentalist or a tolerant non-fundamentalist, but rather both groups exhibit selective intolerance. Dr. Julie Exline (Case Western Reserve University) presented her religious and spiritual struggles scale. The scale measures moral struggles, struggles of ultimate meaning, doubt, demonic/supernatural evil and interpersonal struggles. The scale would help clinicians better assess how religion is associated with their clients’ struggles. Atheists are generally rated as being more distrustful. Dr. Jordon LaBouff (University of Maine) looked at reducing distrust in attitudes towards Atheists. LaBouff et al. found that imagining positive interactions with atheists causes a very quick drop off of distrust. He found that participants were very detailed in their descriptions of their interactions with the hypothetical atheist. He also said he found that people high in fundamental Christianity had a lot of pity for the atheists they were imagining. Building off the assumption that atheists are the most denigrated people in society, Dr. Will Gervais (University of Kentucky) looked at people’s biases in generalizing moral aspects of groups of people, some of whom are atheist. He found people were much more willing to ascribe highly immoral actions and intentions to atheists compared to any other group such as homosexuals, politicians and other commonly derogated outgroups. This may arise because people inherently believe that morality is based on religious tenets and an atheist, without having any basis for morality, is unlikely to be moral. Dr. Nathan DeWall (University of Kentucky) spoke about the relationship between religiousness and substance abuse. He found prayer negatively correlated with substance use the next day, adding that self-Control mediates this relationship. The longer you’re willing to wait for rewards, called delay discounting, the lower the alcohol use. This effect was consistently found over several different time periods. Additionally, he mentioned religion as a way to keep self-control from tiring after long periods of time. Linda Nguyen is a neuroscience major at Baylor University. She has been working in Dr. Wade Rowatt’s social psychology lab. Her current project involves studying implicit and explicit attitudes towards interracial couples and how religious priming affects attitudes. She also works for The Baylor Lariat, Baylor’s student-run newspaper as the Copy Desk Chief and occasional science, research and medicine writer. She hopes to attend medical school after graduation. You can follow her on twitter or instagram @linda_nguyennn.